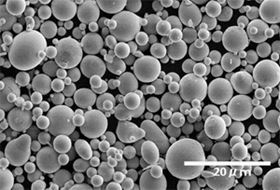 Magnified photo of superfine alloy powder (Epson Atmix). 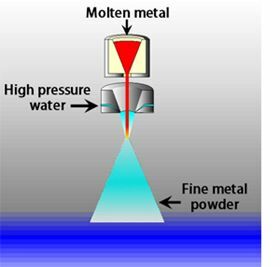 The plant will produce water-atomised superfine alloy powder, and will meet expanding demand from growing markets for goods such as smartphones and other high-performance mobile devices, automobiles, and medical equipment. Atmix's magnetic powder and MIM powder production capacity is expected to reach approximately 10,000 tonnes per year. Satoshi Oguchi, President, Epson Atmix, says: "We are determined to serve our customers' growing demands for high quality magnetic powder and MIM powder, and this plant will help us to better serve their needs." The company plans to break ground on the new facility in the first half of fiscal 2012 and begin operations in the second half of 2013. Epson Atmix is a customer-focused company that is committed to leveraging its unique metal powder manufacturing technology to continue to create customer-pleasing, trusted products and services of the highest quality.